In a new study published in the international journal Alzheimer Disease & Associated Disorders, researchers from Albert Einstein College of Medicine and Montefiore Health System found that feeling stressed will increase the risk of mild cognitive impairment in the elderly. Highly stressed participants were twice as likely to develop cognitive impairment as those without stress. The results suggest that the detection and treatment of stress in the elderly may prevent or delay the onset of Alzheimer’s disease. In the study, the researchers examined the link between chronic stress and amnestic mild cognitive impairment (aMCI)—the most common type of MCI. The study included 507 people from a community-based cohort of adults aged 70 and older called the Einstein Aging Study (EAS); the EAS began in 1993. For the study, the participants underwent annual assessments, including medical history intake, psychosocial measures, neuropsychological tests, clinical evaluations, and assessments of memory issues, daily-living activities, and other cognitive problems by the participants and their caregivers or relatives. In 2005, the study began to assess stress with the Perceived Stress Scale (PSS). The PSS measures 14 indicators of psychological stress designed to be sensitive to chronic stress, such as continuous life circumstances, future situations, and other causes. The PSS score ranges from 0-56 and a higher score is based on a greater perception of stress. Results of recall tests and forgetfulness reports from participants or others created the standardized clinical criteria for the diagnosis of the aMCI. At the first PSS assessment, participants were free of dementia or aMCI. Participants attended a minimum of one follow-up every year for an average of 3.6 years. The researchers found an aMCI diagnosis in 71 participants. The risk of aMCI increased by 30% for every 5-point increase in PSS scores. Similar results were discovered when participants were put into five groups based on PSS scores. The higher-stressed participants had about 2.5 times greater likelihood of developing aMCI than those with low stress. The researchers also found that depression did not significantly affect the relationship between stresses on the onset of aMCI. Stress would also not impact a gene that increases the risk of late-onset Alzheimer’s disease called the APOE gene. Alzheimer’s disease is a progressive brain disorder that is associated with cognitive and memory loss. 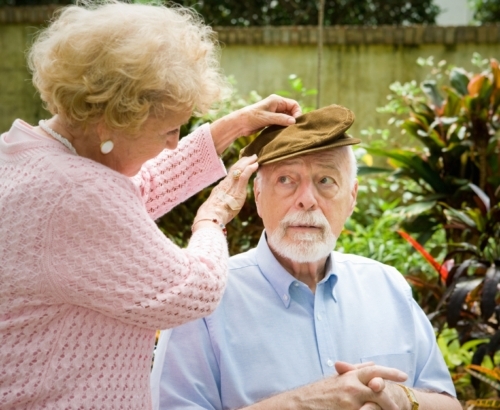 It is the most common type of dementia and it leads to the inability to carry out daily activities. In the U.S., Alzheimer’s disease affects five percent of those over 65-years-old and half of people over the age of 85. It is also the sixth-leading cause of death in the U.S. There are about 470,000 new cases every year. As a result, there are 84,767-related deaths on an annual basis. The first sign of Alzheimer’s disease is mild cognitive impairment. The disease will target the part of the brain linked with memory called the hippocampus. Many conditions can cause Alzheimer’s disease, including depression, anemia, stroke, heart disease, dehydration, hypothyroidism, food or environmental allergies, and alcoholism. Another recent study published in the journal Advances in Regenerative Biology suggests that a flavonoid called apigenin found in herbs such as parsley, chamomile, and thyme can trigger formation of human brain cells; it also shows promise in various neurodegenerative disorders, including Alzheimer’s disease. Other natural remedies used in the treatment of Alzheimer’s disease and stress include Panax ginseng, ginkgo biloba, ashwagandha, vitamin D3 (cholecalciferol), DHEA (dehydroepiandrosterone), and vitamin B12. Remedies that also treat Alzheimer’s disease include chlorella, vitamin E complex, acetyl-L-carnitine, Huperzine-A, phosphatidylserine, and turmeric extract. Katz, M.J., et al., “Influence of Perceived Stress on Incident Amnestic Mild Cognitive Impairment: Results From the Einstein Aging Study,” Alzheimer Disease & Associated Disorders: An International Journal, 2015; doi: 10.1097/WAD.0000000000000125. “Stress in older people increases risk for pre-Alzheimer’s condition,” EurekAlert! web site, December 11, 2015; http://www.eurekalert.org/pub_releases/2015-12/aeco-sio120715.php. “Alzheimer’s Disease Fact Sheet,” National Institute on Aging web site; https://www.nia.nih.gov/alzheimers/publication/alzheimers-disease-fact-sheet, last accessed December 14, 2015. Brazier, Y., “Stress appears to contribute to Alzheimer’s,” Medical News Today web site, December 13, 2015; http://www.medicalnewstoday.com/articles/303949.php. Souza, C.S., et al., “Commitment of human pluripotent stem cells to a neural lineage is induced by the pro-estrogenic flavonoid apigenin,” Advances in Regenerative Biology, 2015; doi: http://dx.doi.org/10.3402/arb.v2.29244. Murray, M., M.D., et al, The Encyclopedia of Natural Medicine (New York: Atria Paperback, 2012), 276-291.